When you consider all the bad choices made by the General Assembly and Governor Pat McCrory in the last two years—and there have been too many to mention—the one that may make the least sense was the decision not to expand Medicaid under the Affordable Care Act and therefore provide health coverage for more than 400,000 low income adults who are currently uninsured. That point was reinforced dramatically recently by a national report that quantified how much federal funding states like North Carolina have forfeited by refusing Medicaid expansion and how much that funding could help families and hospitals across the country. The report by the Urban Institute and the Robert Wood Johnson Foundation finds that North Carolina stands to lose almost $40 billion in federal money over the next ten years by not expanding Medicaid. Hospitals in the state, including many in rural areas that are struggling to stay open, are losing just over $11 billion in funding. But it’s what the money could pay for that is most important. States that have expanded Medicaid have seen the ranks of uninsured drop by 38 percent while states that have refused expansion have seen the number of people without insurance fall by just 9 percent. 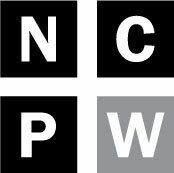 North Carolina was one of the leaders in enrollment under the Affordable Care Act, with more than 350,000 people signing up for insurance earlier this year or finding out they were already eligible for Medicaid and applying for coverage. But that number could have more than doubled if Gov. 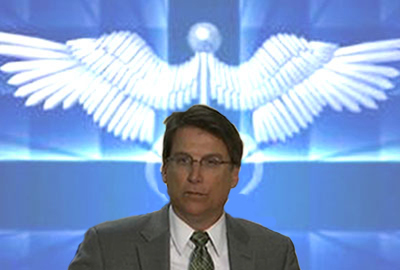 McCrory and the General Assembly had moved ahead with Medicaid expansion. Then there are the jobs the federal funding would create, as many as 25,000 according a study released by the N.C Institute of Medicine. Gov. McCrory can’t really quarrel with the findings. The jobs numbers in the study were calculated by analysts at Regional Economic Models, Inc. The same company using the same model put together a report last year about the huge economic impact of the military in North Carolina, a report promoted by the McCrory Administration. You would think that a governor and General Assembly leaders who always say that creating jobs is their top priority would jump at the chance to make a decision that could bring 25,000 new jobs to the state. After all, McCrory frequently appears at events to announce a business relocation or expansion that will create 60 jobs over three years. But when it comes to Medicaid, jobs move down the priority list, well behind ideology. That’s the only logical explanation for refusing to expand Medicaid, that it is part of the Affordable Care Act that Republicans have pledged to their hard-right base they will repeal or at least oppose at every turn. McCrory and legislative leaders offer up other excuses of course, primarily that Medicaid in North Carolina is broken and should not be expanded until it is fixed, and that the state share of expansion would be too big a burden for the state budget to bear. Medicaid is not broken. Its cost has grown in recent years as overall health care costs have grown and more people became eligible for the program during the depths of the Great Recession, which is the point of a safety net program after all, to help people when they are struggling. Lawmakers have made avoidable forecasting errors, counting on savings that Medicaid officials told them were unrealistic, and building in immediate changes that the federal government must approve. But overall Medicaid is North Carolina is not broken and is providing health care to the most vulnerable people in the state. It could provide for coverage for 400,000 more if lawmakers and Gov. McCrory would change their minds and support expanding it. It is true that the state will have to come up with roughly $300 million a year as its share of the cost of expansion according to the recent national report. That number does not take into account offsetting savings and the increased revenue from the jobs Medicaid expansion will create, but even if the $300 million is correct, that is out of a $21 billion state budget. Here is another way to put that $300 million in perspective. It is less than half the annual cost of the tax cuts for the wealthy and out of state corporations passed last year and about the same as the cost of the next round of tax cuts that take effect January 1. Surely 25,000 jobs and health care coverage for 400,000 people who need it are as important as half the tax cuts for people at the top of the economic ladder who have no troubling affording health care coverage for their families. Let’s hope Gov. McCrory and legislative leaders come to their senses soon and realize it.